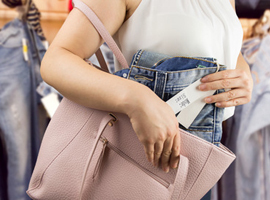 Shoplifting behaviour is an inclination to shoplift or steal as a result of underlying psychological distress. At WE CARE, we offer a unique and specialised outpatient treatment programme for compulsive stealing and shoplifting behaviour. Our programme helps them understand, manage and stop the compulsive stealing, and effect lasting lifestyle changes that are critical for sustained long-term recovery.